In today’s internet age there is importance in creating an ideal social media strategy. You need to have a solid team to make your program to work. Setting up social media for personal reasons might be simple for you, but there is clear distinction when you need it for business. There is no free lunch in developing a social media marketing strategy. You will absolutely need a team of experts to help make this happen. One of the most important items to look for in a Metro Atlanta Area social media expert for your company is the scope of the social networks that the provider uses. 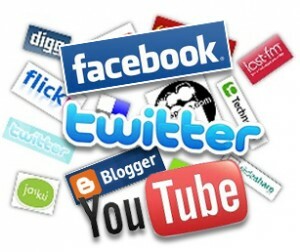 There are mostly four large social media sites that we would like to carry out. These four sites is an absolute must have a more effective campaign strategy. Obviously, Facebook is something you can not go without. The other three are LinkedIn, Twitter, and YouTube. All four of these in conjunction can work seamlessly throughout your website. Additionally it is important that we add your blog into the mix. It’s not all about blogging, Facebook, Twitter, and YouTube. It can be much more complicated to apply it to your business. Let Relamark’s team of experts help you create the greatest social media campaign for your business. We can work out a solution with on any budget.